We are on the same wave length tonight. 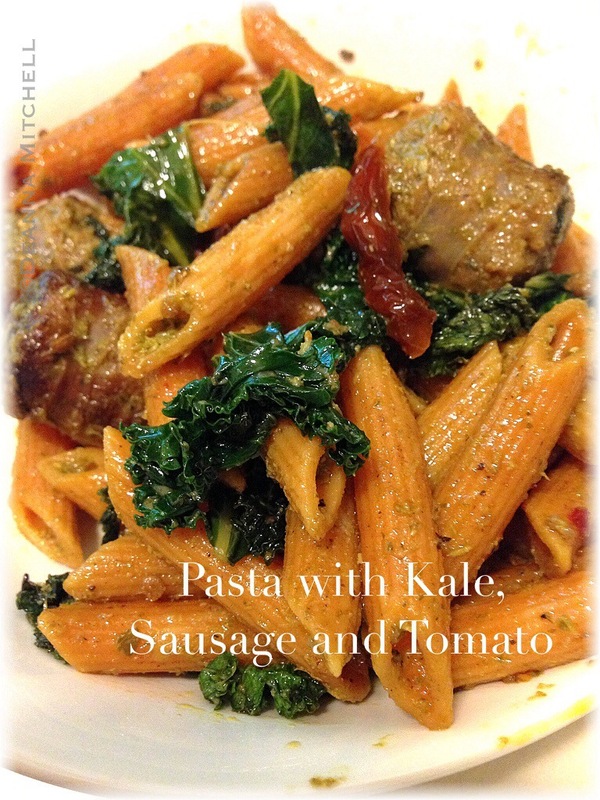 We had pasta with sausage and broccoli rabe. Thanks! Enjoy your yummy supper! Okay so first my lovely friend — I miss you! And this dish looks amazing! New job is GREAT! Where are you moving to? I completely feel your limbo. We were in some weird stage of in-between for 2 1/2 months! Is Ellie excited to move? Or totally not excited at all? Snow-nado needs to be a thing. Hey!!! Miss you, although I am still reading if not writing. We are moving to New Bern and right now I am splitting my time between New Bern and Raleigh. I’m the new assistant dir of Tryon Palace, which is awesome. The schedule is totally crazy though. We’ll be moving together in July and I’ll be glad for that. Ellie is okay with it, but it’s a change. I think she will like it once we are there. No good farmers markets though. And no Trader Joes. Boo. Ha! Welcome to my Trader Joes-less world!